The new INGECON® SUN PowerMax X series features a revamped, improved enclosure which, together with its innovative air cooling system, makes it possible to increase the ambient operating temperature to deliver its rated power up to 45ºC. Through the use of innovative electronic conversion topologies, efficiency values of up to 99.1% can be achieved. Furthermore, an advanced MPPT algorithm makes it possible to harness the maximum energy from the PV array at all times, even in difficult situations, such as scattered clouds and partial shading. Its innovative ventilation system, with a uniform internal circulation of fresh air, ensures that these inverters are able to withstand extreme ambient conditions. These three phase inverters are equipped with a motorized DC switch to decouple the PV generator from the inverter. Moreover, the inverters can be supplied with an AC thermal-magnetic circuit breaker with door control, in addition to DC fuses, grounding kit and input current monitoring. The INGECON® SUN PowerMax X Series has been designed to comply with the grid connection requirements in different countries, contributing to the quality and stability of the electric system. 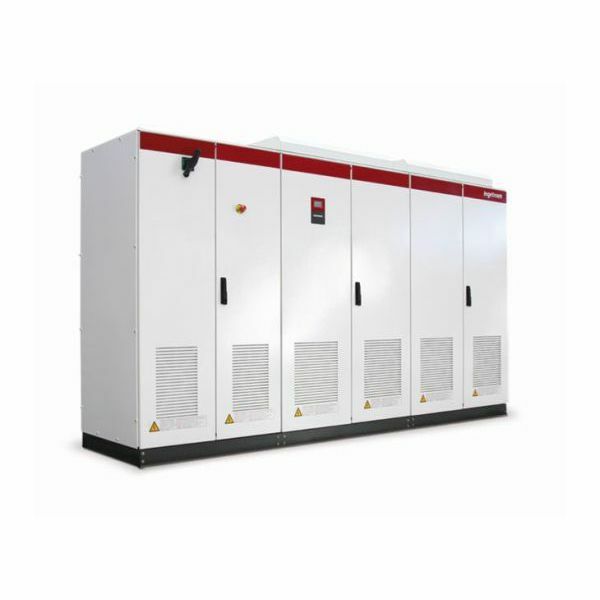 These inverters therefore feature a Low Voltage Ride-Through (LVRT) capability and can deliver reactive power and control the active power delivered to the grid.